Provide comfort for the family of Margaret Phillips with a meaningful gesture of sympathy. 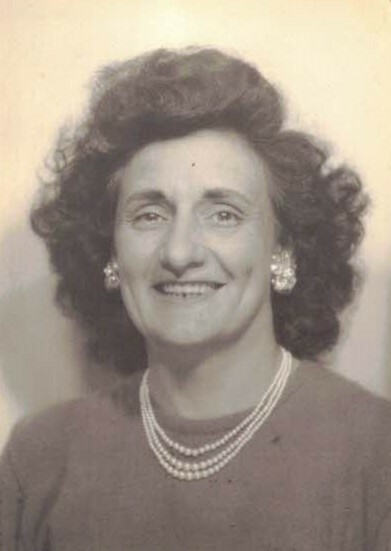 Margaret S. Knapp Phillips, 96, of Hummelstown, passed away Thursday, March 28, 2019, in Carolyn’s House in Linglestown. Born in Kingston, on February 10, 1923, she was the daughter of the late William and Sallie Argood Knapp. Margaret was in nursing for 20 years at the former Alpine Nursing Home and was a former crossing guard for Derry Township. She was a graduate of the former Fairview High School. She helped start the Hershey Fire Police and was a member of the Hummelstown Fire Police, as well as a member of the American Legion Auxiliary Unit 265, Hummelstown, for 32 years. She liked watching wrestling, hunting and fishing, working in the yard, planting flowers and doing crossword search puzzles. She was a former member of the Shope’s United Methodist Church. Margaret is survived by a daughter, Deborah A. Bowman wife of Jim of Harrisburg; a son, William A. Phillips husband of Robin of Mountain Top; eight grandchildren, Brian Heisey husband of Pat, Michelle Bellaman, Robert Mark Heisey, Jr., Charlene Renninger wife of Tim, Barry Bonawitz, Tim LeFever, Bobbie Jo Phillips and Robert Nicholas Phillips; twenty great grandchildren and 11 great great grandchildren. Margaret was preceded in death by her husband, Robert Phillips, Sr.; a daughter, Sharon E. Heisey; a son, Robert W. Phillips, Sr.; three grandchildren, Robert W. Phillips, Jr., Mark Phillips and Wendy Phillips; and a great great grandson, Kye Lang. Funeral services will be held Thursday, April 4, 2019, at 11 AM in the Trefz & Bowser Funeral Home, Inc., 114 West Main Street, Hummelstown. Interment will be in Woodlawn Memorial Gardens, Harrisburg. Viewings will be held in the funeral home Wednesday from 6:15 to 8 PM, and on Thursday from 10 AM until time of the service. The American Legion Auxiliary Prayer Service will be held at 6 PM on Wednesday in the funeral home. In lieu of flowers, memorial contributions may be made to Trefz & Bowser Funeral Home, Inc., 114 West Main Street, Hummelstown, PA 17036 to help offset the costs of the funeral expenses. Online condolences may be shared at w ww.trefzandbowser.com. To send flowers to the family of Margaret S. Phillips (Knapp), please visit our Heartfelt Sympathies Store. Provide comfort for the family of Margaret S. Phillips (Knapp) by sending flowers.